The stunning six-bedroom retreat is a rare fusion of striking architecture, spacious entertainment spaces and lavish outdoor living. 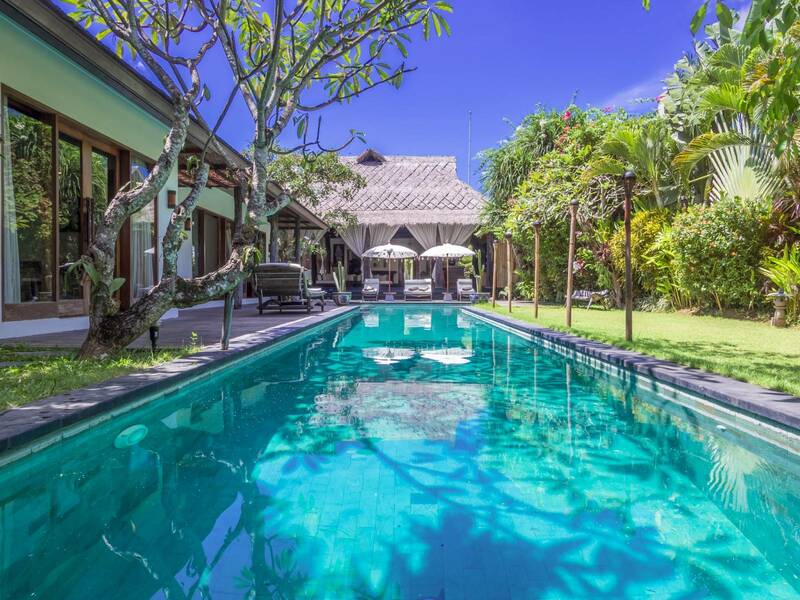 The villa features a gorgeous swimming pool, generous outdoor decking area and is located in one of the most highly sought-after areas on Bali’s south-west coast, just moments from the beach and Seminyak’s boutiques, bars and restaurants. 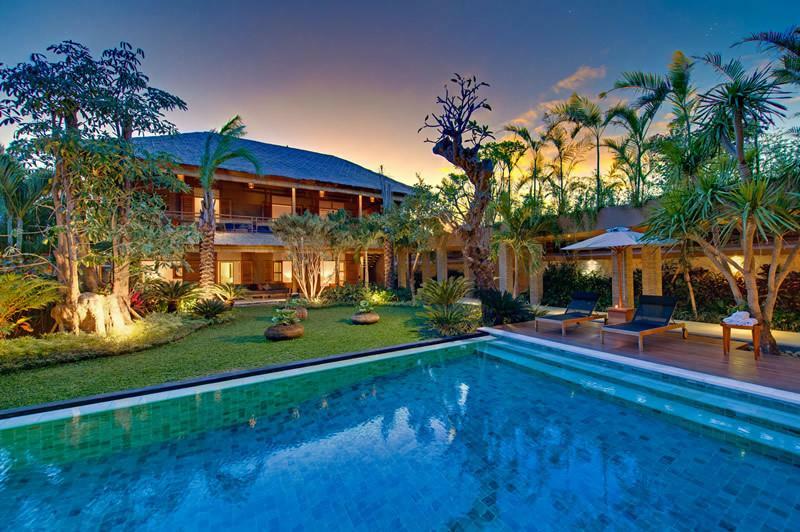 Set within an exclusive residential enclave behind the Oberoi Hotel, the villa is just five minutes from the world famous Ku Dé Ta and a glamorous array of dining and shopping choices. 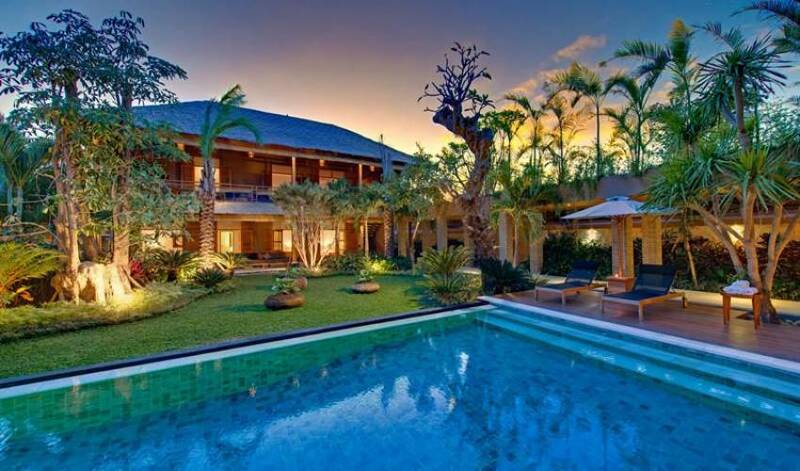 This centrally located villa is ideal for groups of friends, or a few families who want space to spread out in their own peaceful, private, fully-staffed, three-pavilion oasis all within a short stroll of trendy Seminyak. 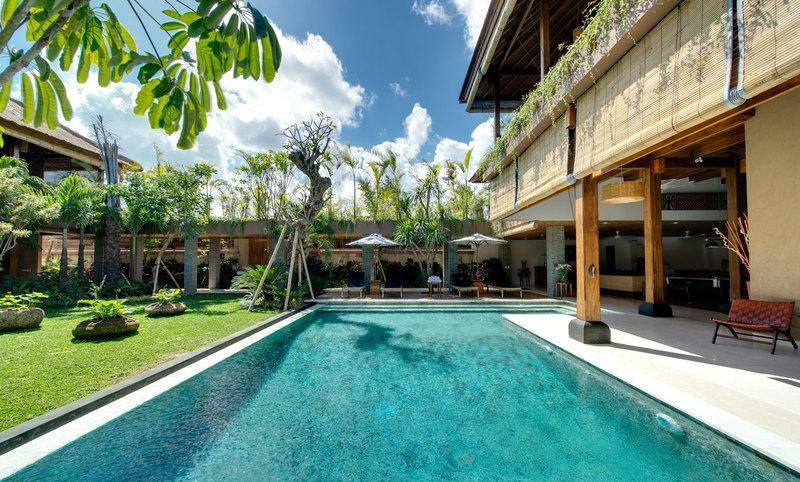 With a prime location in Seminyak’s prestigious Oberoi enclave, this six-bedroom villa is perfectly positioned for Bali’s best-known restaurants, bars and boutiques as well as the island’s famed sunset beaches. 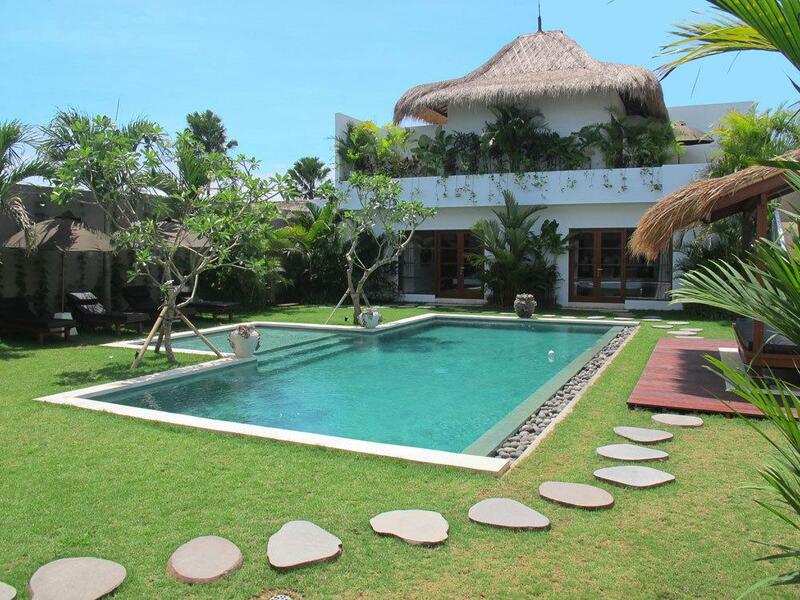 Unlike many Seminyak villas, the villa offers guests a luxurious sense of space as well as lavish comfort and privacy. 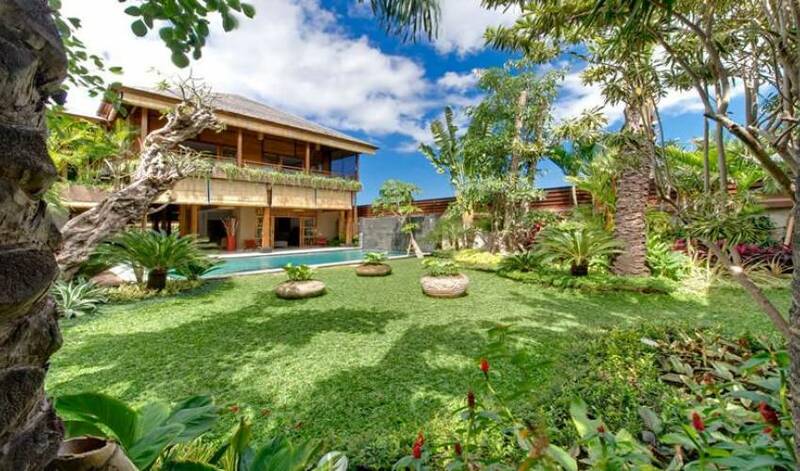 Delightfully original, the villa’s architectural design draws on the Indonesian archipelago’s rich heritage and abundance of natural materials. Paying heed to traditional Balinese home layouts, the villa’s accommodation is spread over three pavilions, with alang-alang (thatch) roofing and ironwood shingles. 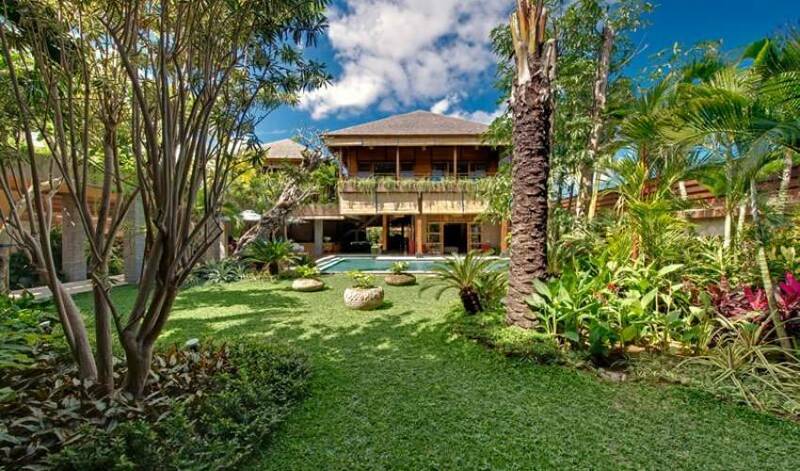 In a contemporary interpretation of the old timber joglo and limasan houses of Java, teakwood is richly incorporated throughout the villa’s design, showcasing supreme craftsmanship and creating a depth of character typical of Balinese style. 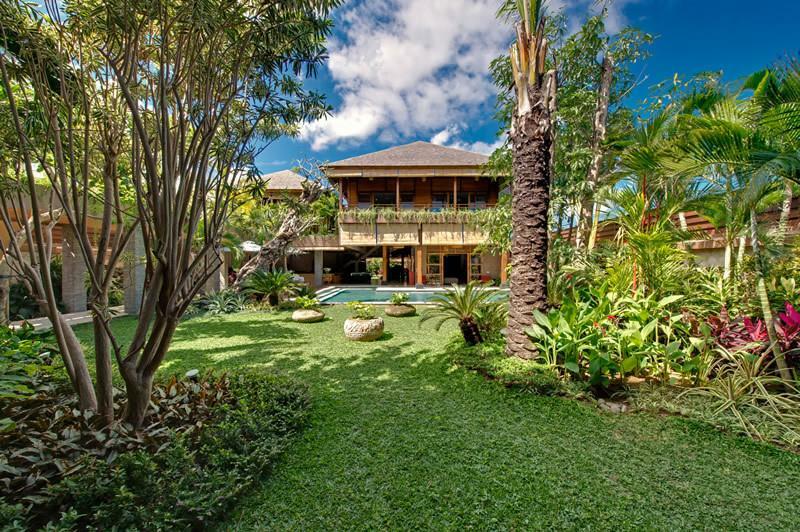 The vast living space is defined by towering wooden pillars created from trees selected by the owner’s architect; teak-embellished ceilings, and Sulawesi floors in the bedroom suites. The Dutch-inspired window and door shutters are another interesting feature as is the incorporation of other natural materials including Palimanan stone, Yogyakarta lavastone, hand-crafted terrazzo, rattan, bamboo and coconut shell. 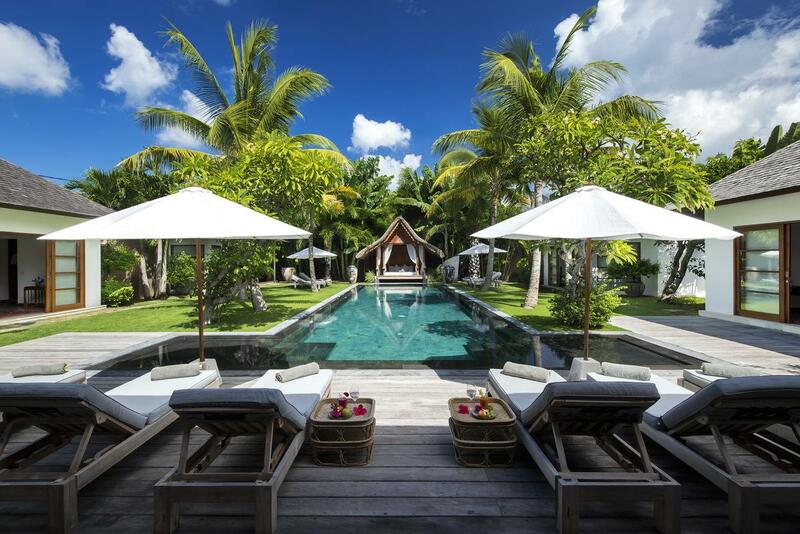 In keeping with the enviro-architectural theme, the chic furniture, including the dining table (a magnificent slab of teak and a talking point in itself), have been designed exclusively for this villa. Sitting effortlessly among these traditional materials are all the comforts of convenient 21st century living: large flat-screen TVs and home entertainment systems, WiFi throughout, and two superbly equipped kitchens. 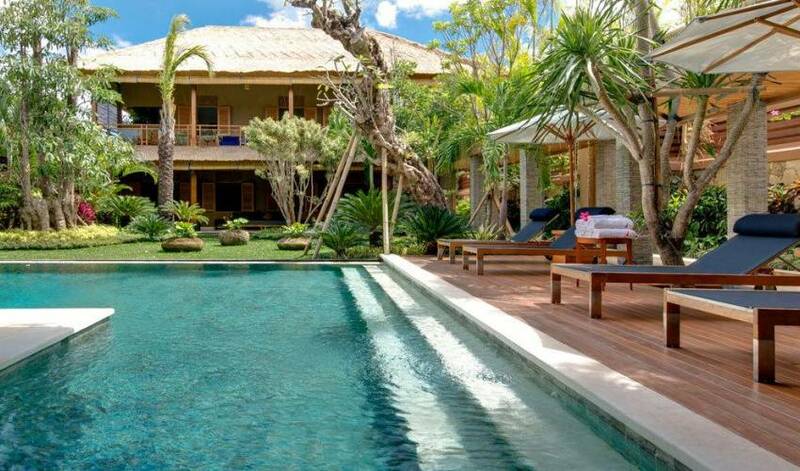 Two other important Balinese traditions share the limelight with the beautiful design of the villa. Community spirit abounds in the many social gathering spaces scattered throughout the villa, and hospitality from the heart is offered by a team of charming, well-trained, willing staff who are dedicated to creating a holiday haven for their guests. 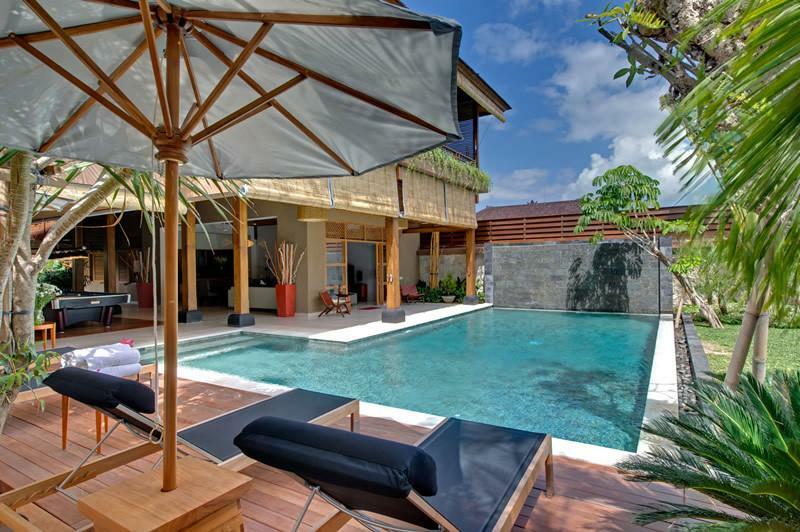 The villa is the perfect residence for multiple families or groups of friends. 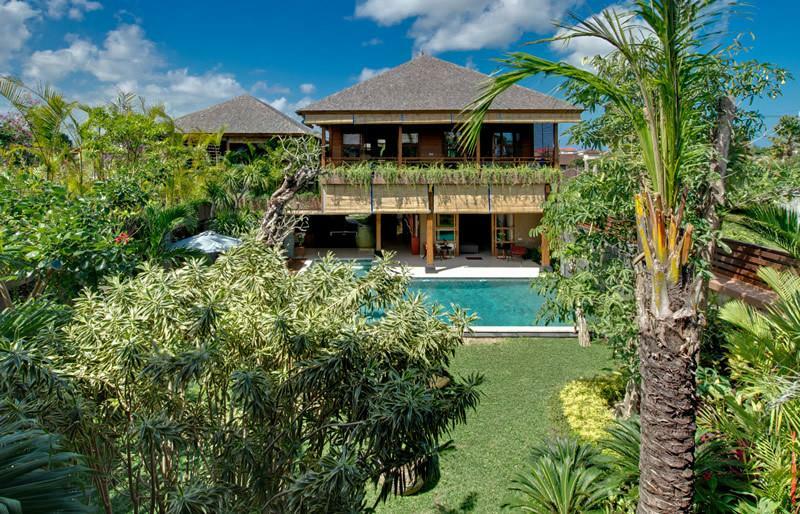 Parties exceeding 12 people have the opportunity to take over the neighbouring, mirror image four-bedroom Villa Kinare, providing a total of ten bedrooms. Set behind high walls topped with decorative teakwood panels, the villa comprises a pair of interconnected double-storey pavilions facing a third pavilion across the swimming pool and garden, linked on both levels by a colonnaded walkway. The huge living and entertaining area occupies the entire ground level of the inter-connected pavilions. From here, an open staircase leads to the media room (which doubles as a guest bedroom) and onto a huge furnished terrace where sliding doors open onto two more guest bedrooms. A roof-garden walkway links to the facing pavilion which houses the master bedroom suite on the second level and two further guest bedrooms on the garden level. The vast open-sided and open-plan living area that spreads across the garden level of two pavilions forms the social hub of the villa. This is a spectacular space for relaxing and entertaining, defined by soaring teakwood columns and skillfully divided into separate activity areas, with the swimming pool edging almost into the room. On one side, conversation is sure to flow with the configuration of oversized sofas arranged around a huge coffee table, set before a bar with stools, drinks fridge and glass jars full of snacks. With an equally social focus, is the full-size billiard table which commands centre-stage. Opposite, alongside the garden terrace, comfortable sofas and armchairs are grouped around a 46inch flat-screen satellite TV and home entertainment system. The villa offers a wide range of outdoor living areas in keeping with the same highly social space planning that marks its interiors. The 14m swimming pool, with water-feature on the boundary wall and wide shallow steps leading towards the living area, is the perfect spot to cool off, while an ironwood deck with stylish sun loungers shaded by a pair of parasols provides an ideal setting for alfresco siestas or refreshing sundowners. The villa’s bedrooms are particularly spacious with ensuite bathrooms, wide, covered terraces, plentiful wardrobe space, and generous indoor and outdoor seating areas. Polished teakwood flooring, designer furniture, fascinating artifacts and thoughtful lighting create delightfully individual interiors, and plush American Pillo beds dressed with 100% cotton bed linen ensure a good night’s sleep. The rooms are individually air-conditioned but those who prefer to embrace the tropical climate can opt to turn on the ceiling fans and open the shutters instead. 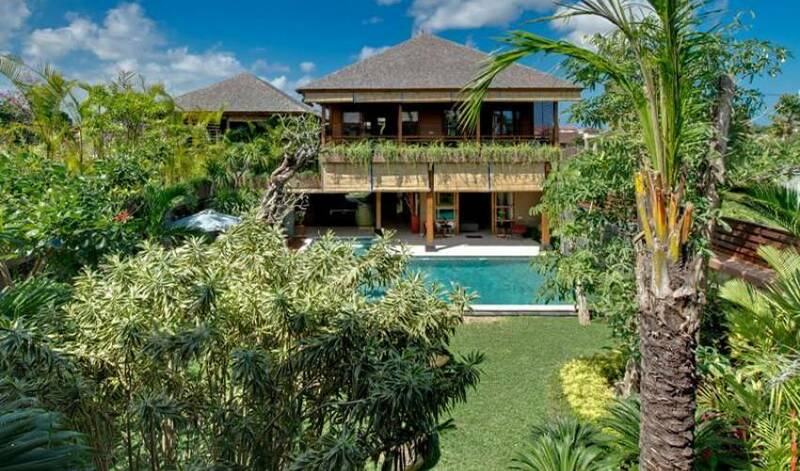 Tucked away at the end of a cul-de-sac within an exclusive residential enclave behind the Oberoi Hotel, the villa is well placed for guests to enjoy the many attractions of Bali’s famed Seminyak area. It’s only a five-minute stroll to the beach with its surfers, sun-loungers and string of cafes and bars for sunset cocktails. A little further are the smart boutiques, spas restaurants and nightspots of Jalan Laksmana (also called Jalan Kayu Aya) and Jalan Raya Seminyak.